Since it's gooseberry picking time, I felt a Gooseberry and Sloe Gin jam was in order. It would probably be more accurate to call this Gooseberry Jam with Sloe Gin but that would remove the huge delight that I get from saying the phrase “Sloe Gin Jam”. It’s astonishing how long little things like that will keep me amused. Put the gooseberries into a preserving pan and add around ½ cup of water. Heat gently, stirring until the water comes to the boil. If the gooseberries seem determined to stay whole and unbroken at this point then you might need to add a little extra water to stop the mixture drying out. Cover the pan and simmer very gently, stirring every so often, until the berries have largely broken down. How long this takes will depend on the ripeness of the berries but around 15 minutes should be enough. Use a fork to break up any very lumpy bits. Keep the pan on the low heat and add the sugar and lemon juice. Stir diligently for a short while until you’re sure that the sugar has dissolved. Increase the heat and boil the jam until it reaches setting point. You can use a jam thermometer to determine this but I use the old wrinkle test – I chill saucers in the freezer, put a small dollop of the jam on the saucer, wait a moment or two and if the jam wrinkles when you push it, then it’s ready. This jam will change colour during the cooking process and become darker with hints of dusky pink – this is normal and, actually, looks pretty good. Take the pan off the heat. Skim off anything on the top of the jam that looks unpleasant or excessively foamy and stir in the sloe gin. Leave to cool a little, stir again and put into sterilised jars. Drag Blenkinsop out of the ha-ha and serve on scones or brioche with a traditional cup of tea. 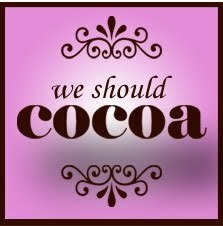 For this month’s We Should Cocoa challenge Choclette of Chocolate Log Blog has chosen strawberries as the ingredient to be used along with chocolate. To me the taste of freshly-picked strawberries means summer's really here and so I had to make something truly summery. And what’s more summery than an ice cream? Well, actually this ice is made with yogurt rather than cream. Sadly that doesn’t mean it’s really low in fat. You could make your own custard for this recipe and that would be excellent – Delia (I said that name in hushed tones, of course) is my usual reference point for custard. On the other hand, if you choose to use shop-bought custard, then I won’t tell anybody. It’s best to avoid the reduced fat custard for this recipe, though. The amount given here is about the maximum that my little ice-cream maker can handle without having a panic attack, but the ice is quite rich so you don’t need a lot for a serving. You can make this without an ice-cream maker by part freezing the mixture, removing it from the freezer and beating it before freezing again but you’ll need to do that several times to make this particular ice smooth. I always want something to nibble with a summer ice – it just doesn’t feel complete otherwise. Langues de chat are suitably melting and moreish. They’re also very easy and quick to make, particularly if you have a stand mixer. I'm not sure that the world really needs another recipe for langues de chat since they’re so well known, but this is the version that works for me. Although vanilla is the traditional flavouring, you can always vary it; orange flower water can work well with fruit, for instance. Whiz the strawberries with the icing sugar in a blender or processor until smooth. Stir in the agave nectar. Place in the fridge to chill. If you’re making your own custard simply stir in the chocolate at the end after you take it off the heat and allow the chocolate to melt. If you’re using ready-made custard, then heat it very gently (in a bowl over simmering water, for instance) and stir in the chocolate. Keep stirring until the chocolate has melted completely, take off the heat and chill in the fridge. When the chocolate custard and strawberry syrup are thoroughly chilled, mix them together with the yogurt and pour into the ice-cream maker. Churn according to the machine’s instructions or the usual way you freeze ice creams. If the ice has been in the freezer long enough to freeze very thoroughly then don’t forget to take it out a little while before you want to serve it to allow some softening to take place. This amount should make somewhere between 20 and 30, depending on how big you decide to make them. Preheat the oven to 190°C. Prepare one large or two smaller baking sheets by lining with non-stick paper or silicone sheets. Cream the butter and sugar together very thoroughly. Beat in the vanilla paste or extract. Loosen the egg whites by beating them briefly with a fork. Pour the egg whites gradually into the butter and sugar mix while continuing to beat. When the egg whites are fully combined, fold in the flour. Put the mixture into a piping bag with a small nozzle (less than 1 cm, ideally), or just cut the end off one of those really useful disposable piping bags. Pipe the mixture onto the prepared baking sheets, leaving room for them to flatten and spread. I try to make mine around 5 cm long, but I don’t think you should be too precise or fussy when piping langues de chat – they’re more interesting if they look a bit random. Bake in the oven for around 7 minutes, but keep a careful eye on them after 5. They should be brown around the edges but still pale in the centre. Cool for a few minutes on the baking sheets before transferring to a rack to cool completely. Store in an airtight container. For the second Belleau Kitchen random recipe challenge in a row I have a very traditional sort of British pudding to offer. I’m not always convinced about this kind of dish, but I have to admit that this one is truly delicious (in an old-fashioned sort of way), as well as deeply comforting. I suspect it could even be dangerously addictive. I'm very happy to go back to this book; it’s a gloriously odd relic of the genteel days of country houses and luncheon baskets on trains. But the book also has a huge number of good recipes that owe nothing to fashion. In fact there are some recipes in here which in recent years have turned up with very few changes in books by celebrity chefs. Anyway, choosing at random, I came up with Ard Daraich Sponge Pudding. This is a sort of layered castle pudding with a very sweet, lemony sauce. Having played around with this recipe I must confess that I’ve adapted it a little and I’ve also translated it from 1950’s English – you wouldn’t want me to give measurements in gills, after all. Ard Daraich, by the way, was Constance Spry’s holiday home on the shores of Loch Linnhe with views over to Ben Nevis. The house is now a Bed and Breakfast it would appear. Preheat the oven to 190°C. Butter three 18 cm sandwich tins. (If you don’t have three tins, then cooking in more than one batch should work just fine). Cream the butter, add the sugar and cream the two together thoroughly. (A stand mixer or passing servant would make this job easier). Beat in the eggs one at a time. Stir in the flour and, finally, the milk. Split the mixture between the tins and bake for around 12 –15 minutes. When cooked the sponges should be lightly browned on top and a knife point should come out clean. Take care to avoid overcooking them or they’ll be too dry. They won’t rise much, but that’s as it should be. Remove from the tins and leave to cool. The original recipe calls for the sponges to be kept whole, but I felt I was in danger of eating the entire pudding, so I cut out some shapes for smaller, more restrained puddings. Either way, a sponge should be placed browned side up on a dish and a portion of the hot sauce should be poured over. Top with another sponge and repeat the sauce. Finally do the same with the third layer. If there’s an inadequate puddle of sauce around the sponge tower, then add some more. I found myself thinking about Dieppe the other day (I mean the one in northern France). I've spent a fair amount of time there over the years and it’s a town with a lot of good memories for me. Not surprisingly a number of those memories concern seafood. So I put together this simple fish dish to remind me of the place. This is not a Dieppoise dish – anything labelled ‘à la Dieppoise’ would normally contain mussels and possibly other shellfish. On the other hand, some of the flavours in this dish are influenced by (or pinched from) the far more complex dish ‘Marmite Dieppoise’, which is presumably still served up in the restaurant of the same name. If you don’t know Dieppe but find yourself in the area one day, then try your very best to catch the superb Saturday morning market that spreads itself through the main shopping streets of the town. I think of this dish as a fish stew that produces a fair amount of sauce for soaking up with bread. On the other hand, you could argue that it’s actually a very chunky soup. It can be made into something that more closely resembles a classic seafood soup with only minor changes (see the end of the recipe). This should feed 2 as a fish stew and probably more than that as a soup. Check the fish and remove any bones that may have been left in. If the fish is firm and thick enough to stay in one piece, then remove any skin. If you’re using thinner or more fragile fish, then keep the skin on until later in the recipe. In a pan that will be large enough to take the fish side by side, slowly soften the leeks and fennel in a little butter and olive oil without allowing them to brown. Add the garlic and continue frying gently for a minute or two. Lay the fish fillets on top of the leeks and fennel and add the wine and enough water to almost cover the fish – around 400 - 500 ml would be ideal but obviously it will depend on the size of your pan. Cover the pan and simmer gently until the fish is just cooked through. How long the fish will need depends on the size of the fillets, but around 5 – 6 minutes is usually enough time. Remove the fish as soon as it’s cooked. 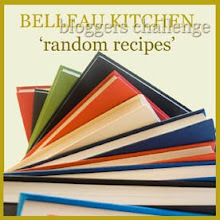 In another pan, melt the 25 g of butter and stir in the flour to make a roux. Pour the poaching liquid (including the leeks and fennel) gradually onto the roux, stirring all the time. If you used more than 500 ml of water when poaching the fish, then don’t add all of the liquid. Simmer gently for 15 minutes, stirring regularly. In the meantime, remove any remaining skin from the fish and break up the flesh into random-sized flakes and chunks. Stir in the curry powder (use the larger amount if it’s a very mild mix), the paprika and chervil. Season with salt and pepper and stir in the crème fraîche. Simmer for another 2 minutes. Gently stir in the fish and allow it to heat through. Serve with simply cooked new potatoes, a green salad or steamed green vegetable and, most essential of all, some crusty bread. Perhaps a glass of Normandy cider might go down well, too. If you prefer a soup rather than a soupy stew then flake the fish into smaller pieces and use a hand-blender to liquidise some of the leek and fennel before putting back the fish. I really enjoy classic rum babas but, on the other hand, it can be a bit daunting to be faced with a large cake soaked in a powerful rum syrup. So these mini babas are my suggestion for an alternative. This amount should make at least 20 small babas. Whisk the egg yolks with the caster sugar until very light in colour. Briefly beat in the melted butter, milk, yeast and lemon zest. Turn the speed to low on the mixer and add the flour gradually until it’s thoroughly mixed in. Beat the egg whites to the stiff peak stage. Stir a spoonful of the egg whites into the yolk and flour mix to loosen it and then carefully fold in the rest. Spoon or pipe the mix into the moulds (if you’re using really small moulds, then piping can be easier) - the moulds should be about ¾ full. Bake at 160°C. How long they take will depend on the size of the moulds – in the small cannelé moulds they take around 15 minutes but this could be 20 minutes or longer in larger cake moulds. They should be starting to lightly brown - but don’t overdo it. While the babas are baking, make the syrup. Dissolve the sugar in the water over a low heat with lots of stirring, then bring to the boil and boil for 2 minutes or so. Add the limoncello and lemon juice and continue boiling for another 4 or 5 minutes. Turn the heat to low and keep the syrup warm. Take the babas out of their moulds while they’re still warm, if possible. (If you’ve used cannelé moulds then cut off any stray bits from the tops of the babas so that they stand upside down neatly). Place the babas in a bowl and pour over half the syrup. Let them stand for a while and soak up the syrup as they cool – don’t put the syrup back on the heat. Once most of the syrup has been absorbed, pour over all, or as much as you fancy, of the rest of the syrup. Allow the syrup to soak in for at least a couple of hours before serving, spooning it over the babas every so often if you remember. Personally I prefer to serve these with thick Greek yoghurt but cream or crème fraîche is probably more traditional. Some fresh berries wouldn’t go amiss either. The babas should keep in their syrup for a day or two in the fridge, but I think it’s unlikely that I’ll ever find out for sure because they’re just too easy to eat.